Officials with the Washington State Patrol (WSP) say that a driver involved in a single-car accident in Tukwila that took the lives of four passengers Sunday morning was arrested on suspicion of vehicular homicide. According to The Seattle Times, officials allege that an unidentified 22-year-old man from Kent was driving a Nissan Titan pickup truck eastbound on State Route 518 near the Interstate 405 interchange at approximately 2 a.m. Sunday at very high speeds. Witnesses saw the vehicle suddenly exit the roadway, striking a guardrail before eventually crashing into a large concrete bridge pillar. The impact forced the driver to be ejected from the pickup truck, and he landed on the right shoulder of the freeway. All four passengers inside of the truck were pronounced dead at the scene, according to WSP troopers. It is unclear if the driver was under the influence of any drugs or alcohol at the time of the crash. The Seattle Times reports that court records show he was arrested in October 2017 for driving under the influence and reckless endangerment, and he pleaded guilty to the reckless endangerment charge in Kent Municipal Court. He was also sentenced to jail time for violating the conditions of his suspended sentence, though the nature of the violations were not clear. Washington state law permits people who have been injured in a car accident to pursue a personal injury claim against the at-fault party who was responsible for causing the innocent victim’s injuries. This includes passengers who are injured or killed due to the negligence of a driver, even if they were in the vehicle with that driver. There are a number of legal challenges that can arise during the personal injury claims process, especially in serious accident cases involving multiple injured parties. A thorough investigation is necessary in order to identify all applicable insurance coverage and other possible factors that may have contributed to any individual collision. 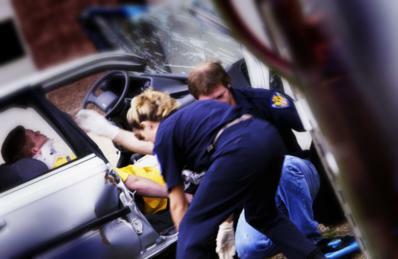 Davis Law Group offers a series of free legal guides designed to educate accident victims about their legal rights. 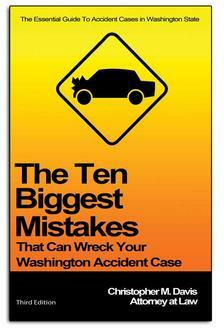 You can order your free copy of any of the books in the series by visiting www.WashingtonAccidentBooks.com. If you are interested in learning more about your legal rights and options after a serious accident, our award-winning legal team is standing by to speak with you about your case and help you better understand the personal injury legal process. We can assist you in determining if hiring a lawyer might increase the chances of a favorable outcome and better overall result for your case. Call Davis Law Group in Seattle at (206) 727-4000 or use the confidential contact form on this page to have your case personally reviewed by our attorneys. If we believe we can help, our legal team will meet with you for a free legal consultation at your convenience.